For the photocall at the Grand Hyatt Hotel, she wore a burgundy tweed jacket with contrasting gold buttons with the matching culottes and black lace-up oxfords. Simple sophisticated, loving this look which she easily nailed. For the premiere at the Berlinale Palace, she wore a similar look but in a tuxedo form. 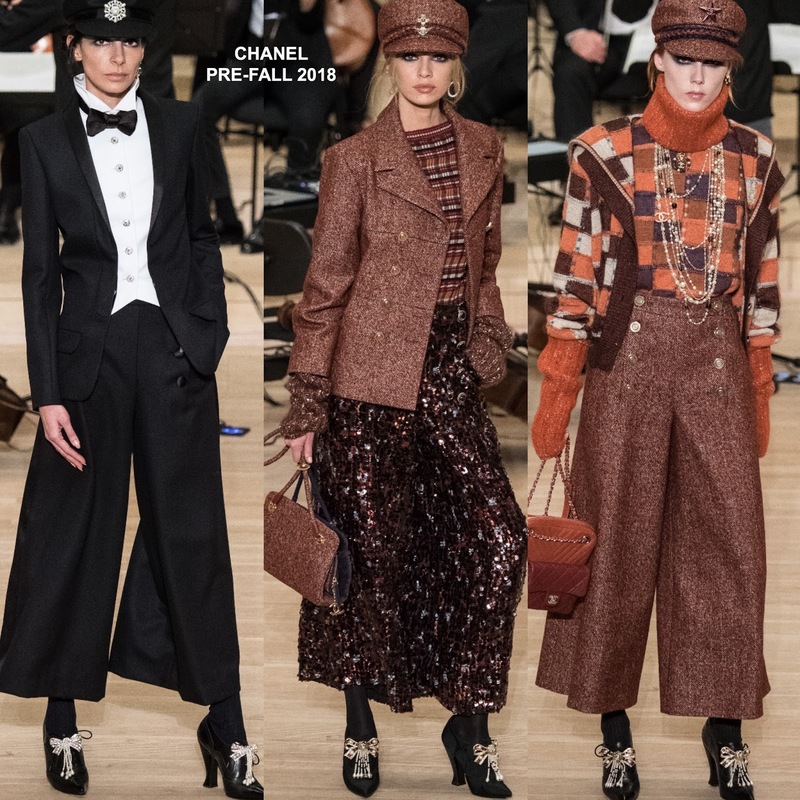 Her black culottes tuxedo was shown with a bow tie on the runway which I wish she kept. However it doesn't hurt her look without it. This is my favorite, elegantly cool with masculine appeal. 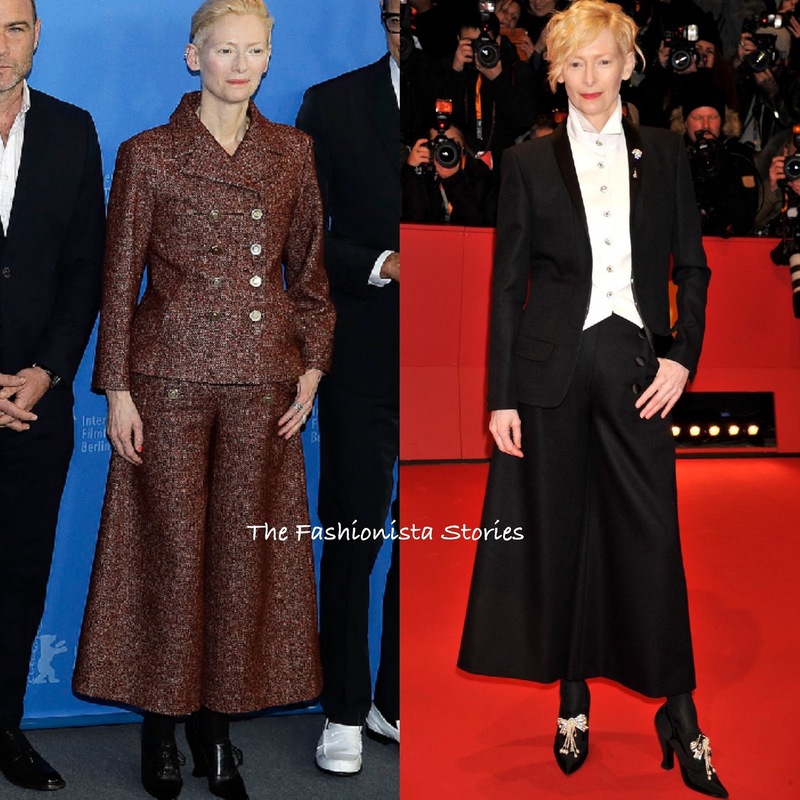 Which one of Tilda's Chanel looks do you favor?